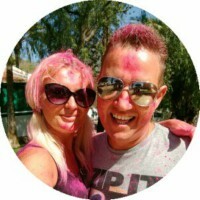 All the reviews of things to do in Tenerife are written by us, Ian and Nicky. We’re two ex-pat Brits sharing our unbiased his-and-her often conflicting opinions on all things to do in Tenerife. So whether you’re here for 7 days or you’ve been a resident for 7 years, you can discover and experience this amazing island. There are so many incredible things to do in Tenerife that there’s no need to make stuff up. To help you work out what’s worth seeing, we visit the island’s places of interest and review them honestly. Each review includes the essentials, like what the official name is and how to get there, plus if it’s actually any good. We tell it like it is so you can make your own mind up whether or not it’s worth the trip. If you know what type of attraction you’re looking for, use the categories in the bar above to search for places of interest. If you know whereabouts on Tenerife you want to go, click on the markers on the map below to find fun stuff in your area. We’re happy to receive suggestions for things to do in Tenerife to review. If you want to know the truth about a place and can’t find it on our site, visit our contact page and submit it. We’ll do our best to take a look around and add it to our site as soon as we can!